We are a trustworthy manufacturer, exporter, trader and supplier of the finest quality Non Woven Wine Carry Bag. Widely used to carry wine bottles, these wine bags are designed with the accuracy by consuming updated technology employing international provisions of quality. In addition to this, we are giving these wine bags in different attractive designs & sizes, all of which can be modified according to the customer’s specified details. 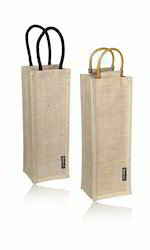 Client can benefit these wine bags from us at pocket friendly rates. With rich industry experience, we are engaged in offering a qualitative assortment of Non Woven Newspaper Bag. The offered News paper bags are processed by utilizing quality approved material and hi tech machinery. Apart from this, our News paper bags undergo several tests under keen observation & guidance of quality experts, in order to make certain their defect free range. 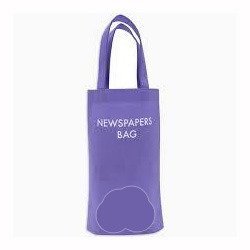 Clients can buy these News paper bags from us in a number of sizes, colors and others.